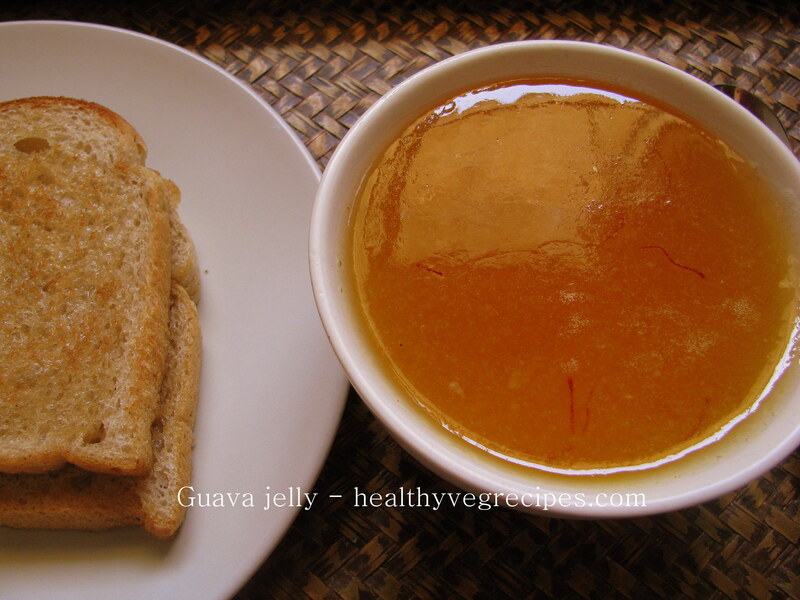 This Guava jelly / jam recipe is a nice companion for your bread toast, paratha, roti or phulka. I love to make this jelly recipe as it has no preservatives and no color. 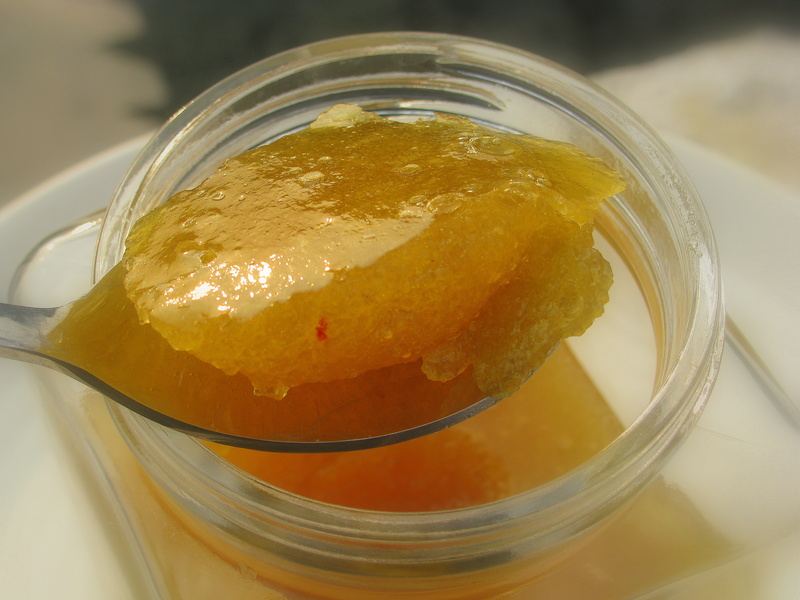 I have used saffron (kesar) to give nice color and flavor to this homemade jam/ jelly. When I was a kid, we had a guava tree in our garden. Me and my brother used to climb up the tree to pluck guavas and finish them off in garden only The tree had very strong branches. We used to play on it a lot. In morning, flock of different types of birds like parrots, cuckoo birds, bulbuls,sparrows, Greater coucal etc. used to gather on that tree. I think they came there to enjoy guavas and have a chat… It was a awesome Bristo for them! My mom always made this jam whenever we couldn’t finish the guava before they became fully ripened. Guava jam or jelly tastes awesome when it is made from fully ripened soft guava. Hard ripe guava which we love to eat, gives little bitter taste to this recipe. A ripe guava tastes like mellow and mildly sweet, but if you eat it raw, it tastes like astringent I have used the fully ripened white, fleshy guava to make this jelly. This jelly can also be made from red fleshy guava. The only difference is guava should be fully ripe and soft to make this jelly. Otherwise it will taste bitter. 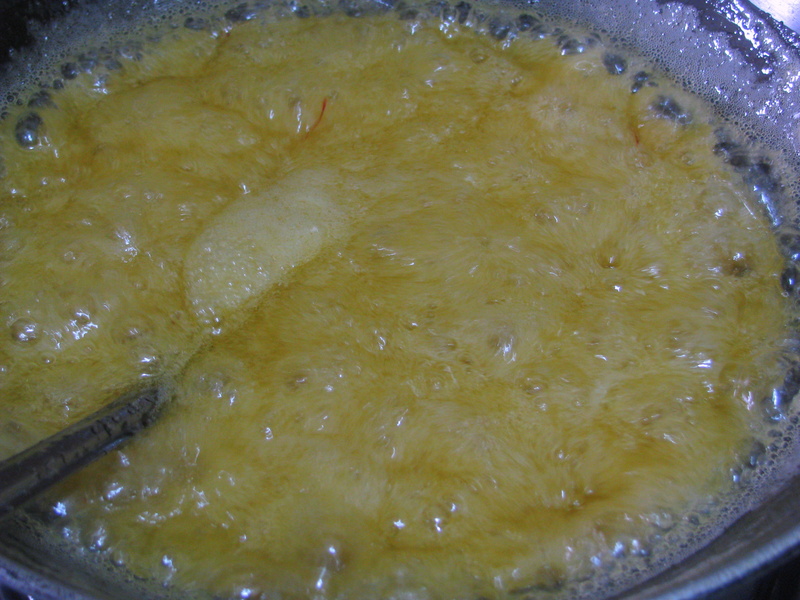 Pectin is a substance which, when heated together with sugar, causes a thickening that is characteristic of jam and jellies. It naturally occurs in many fruits and berries. 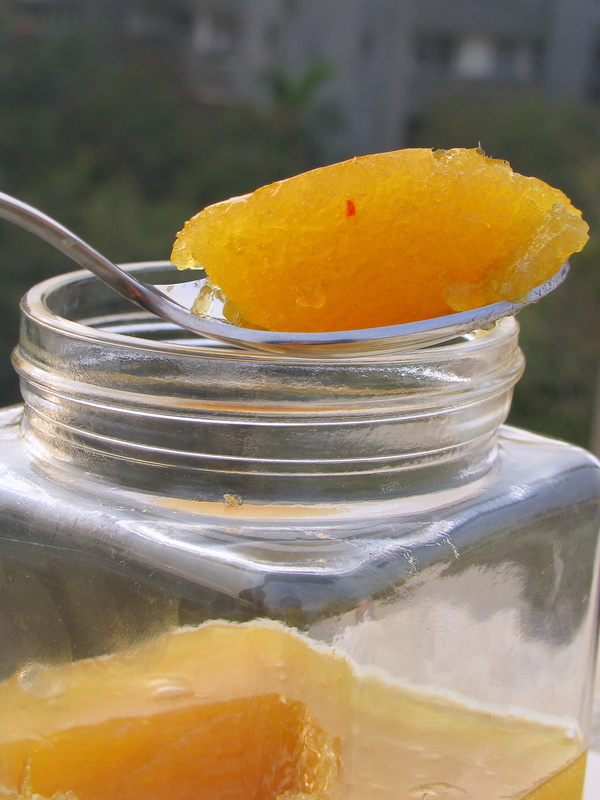 Pectin is used to make jams/ jellies and marmalades. It increases the gel strength of low calorie jams. For household use, pectin is an ingredient in gelling sugar (also known as “jamsugar“) where it is diluted to the right concentration with sugar and some citric acid to adjust pH. Guava has little amount of natural pectin in it. So we are going to add lemon juice to this jam which is rich source of pectin. This is why we are not using any artificial pectin or jelly-forming substance in guava jam / jelly. 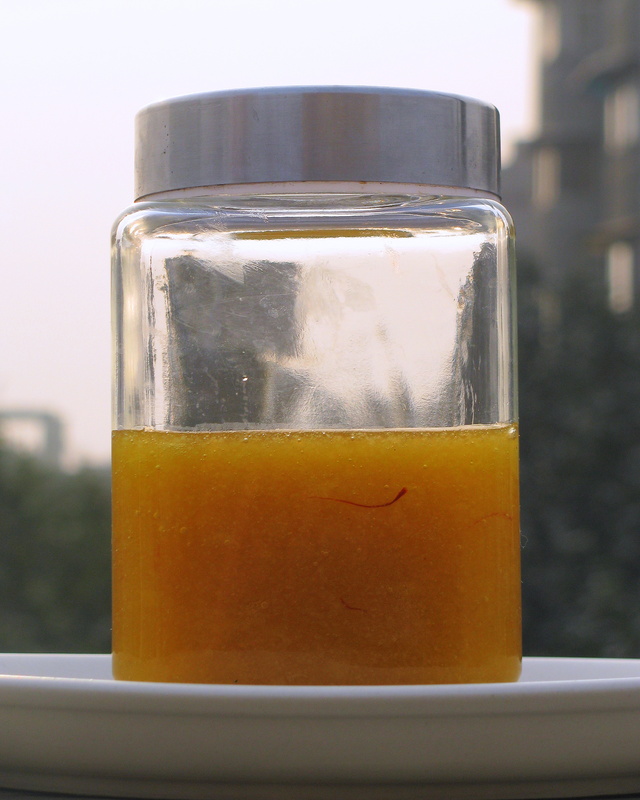 Lemon has lots of pectin and it also acts as acidity regulator in this jam. I use lemon in many of my jam/ jelly recipes. Even if I haven’t used pectin in this jam, it is not at all runny. In fact, it has a very nice sticky and jammy texture The pectin present in fruit and lemon gives a nice texture to this jam. 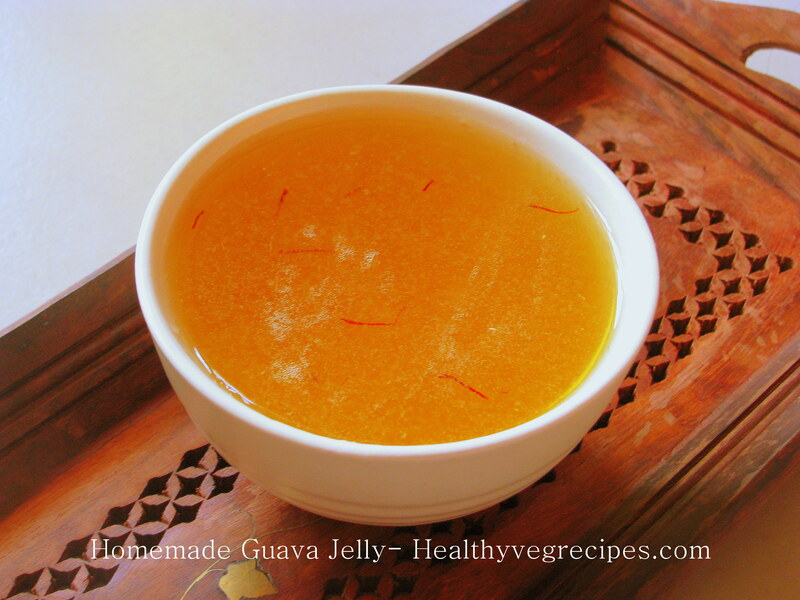 I have explained how to make guava jelly / jam at home with step by step instructions. Do share Your comments and suggestions for this recipe. 6-7 ripe soft guavas (around 750 gms). 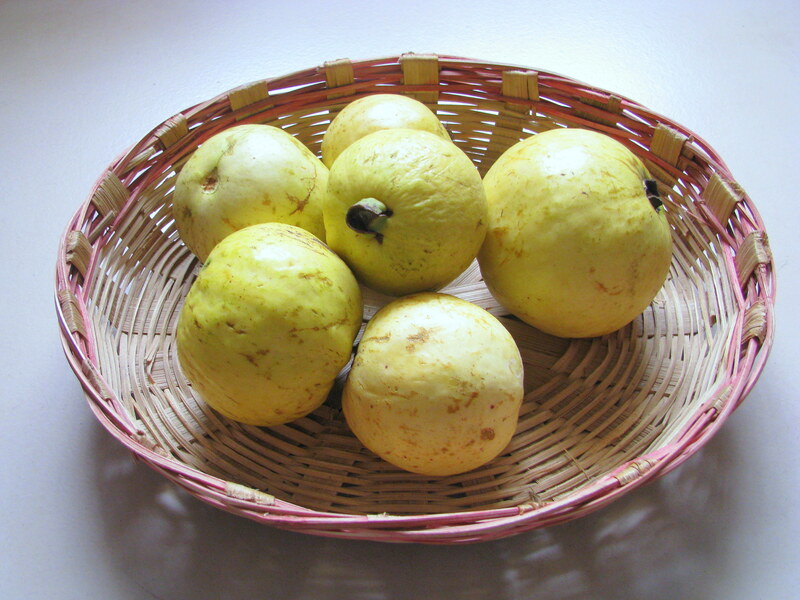 It is important that the guavas are ripe and soft. That gives a nice flavor and sweetness to the jam. Ripe guavas are easier to cook and get easily melted. 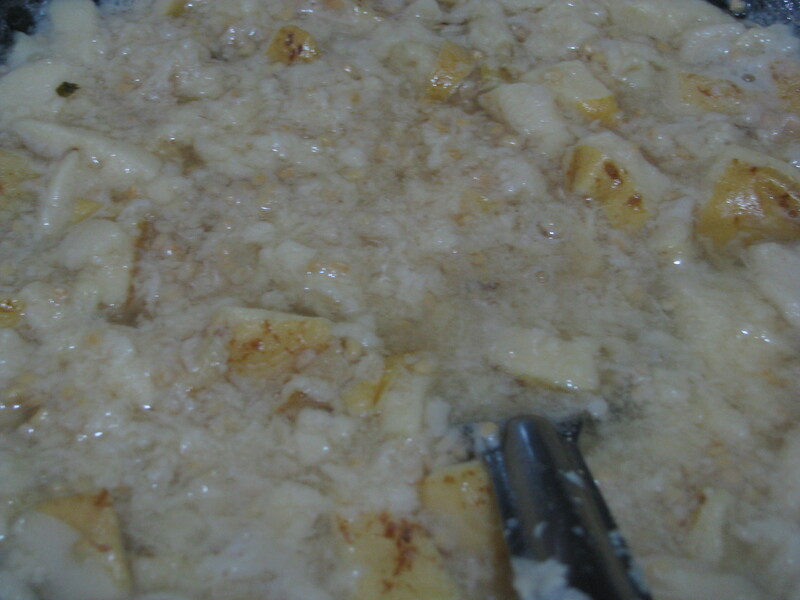 Sugar – I use sugar according to pulp I extract from guavas. 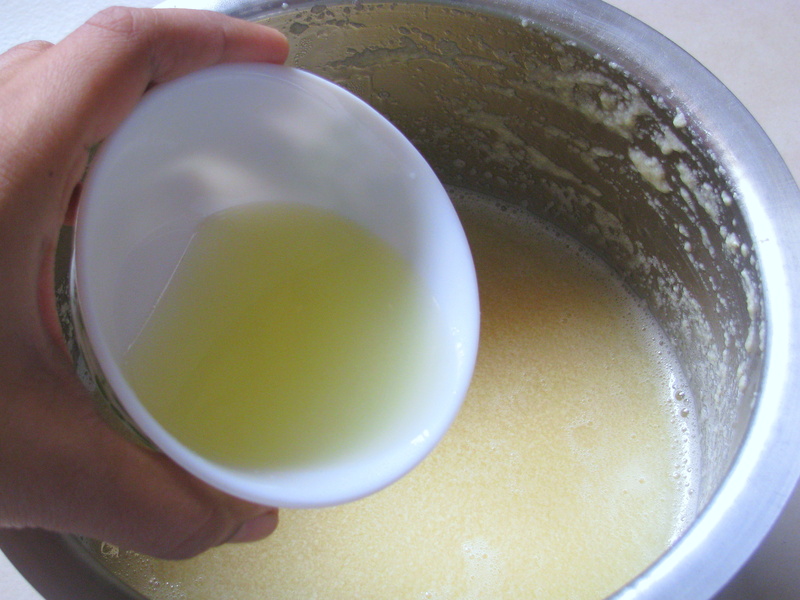 In this recipe I have extracted around 3 cups of guava pulp, so I have added 3 cups of sugar. 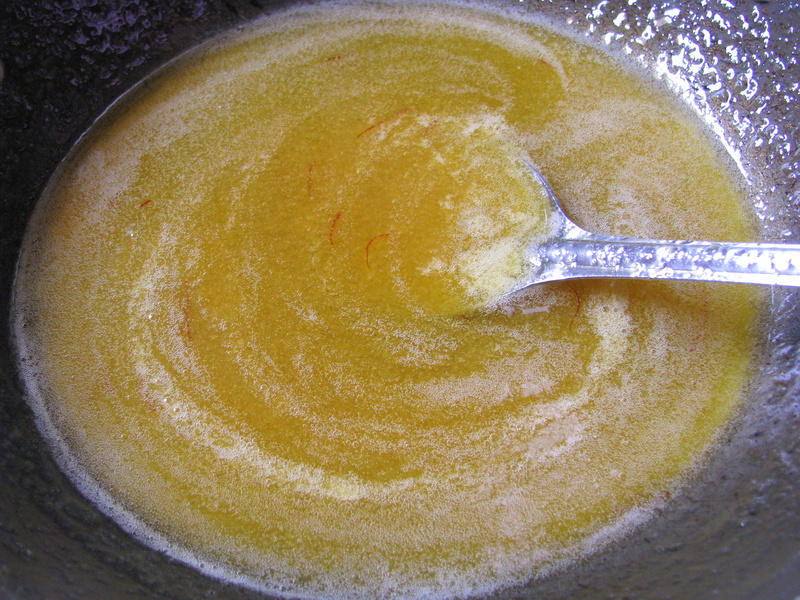 Lemon juice – I added 1 tablespoon of lemon juice for each cup of guava pulp I extract. Here as I said, I have extracted 3 cups of guava pulp so I have added 3 tablespoon of lemon juice. 1 pinch of saffron strand (kesar). ½ teaspoon salt (optional) I like my jam with little salt but my kids don’t In this recipe, I didn’t add salt. Wash the guava and remove the dirt from it. Cut the guava into small pieces. 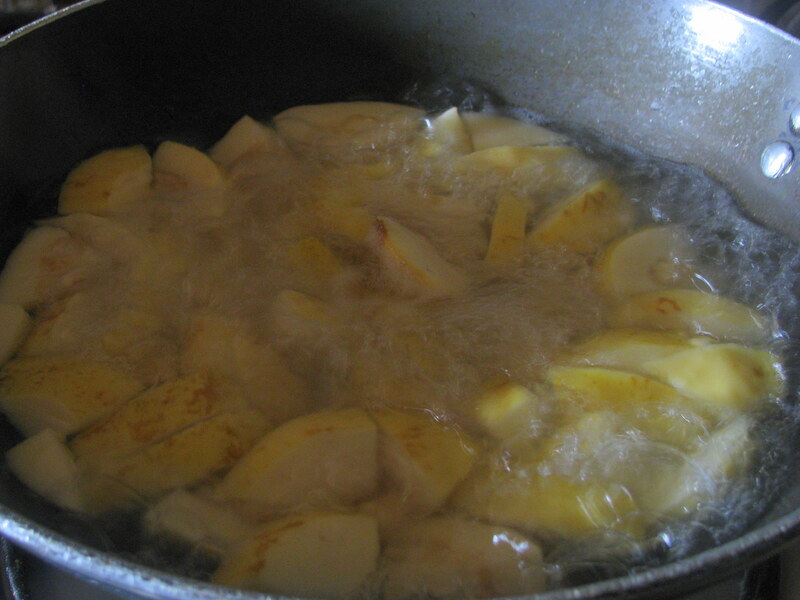 Add 5 cups of water and boil it in a pan. Small pieces will make the guava easier to cook. 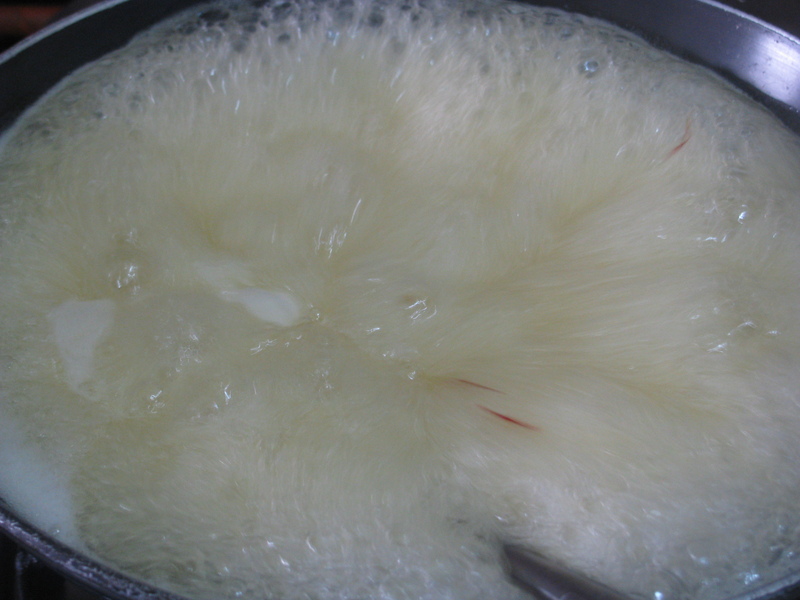 Boil it for 10 – 15 minutes, or until it becomes very soft and pulpy. 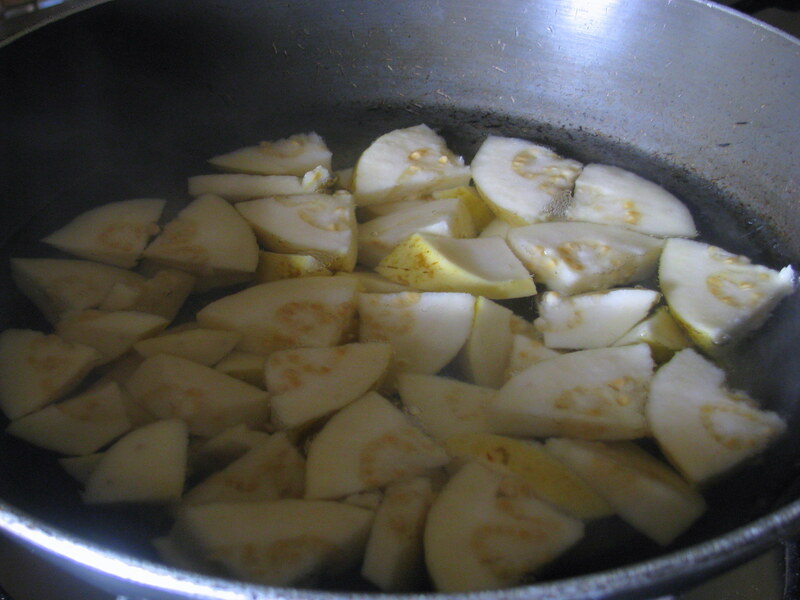 Strain it through strainer to extract all the juice and pulp from cooked guavas. 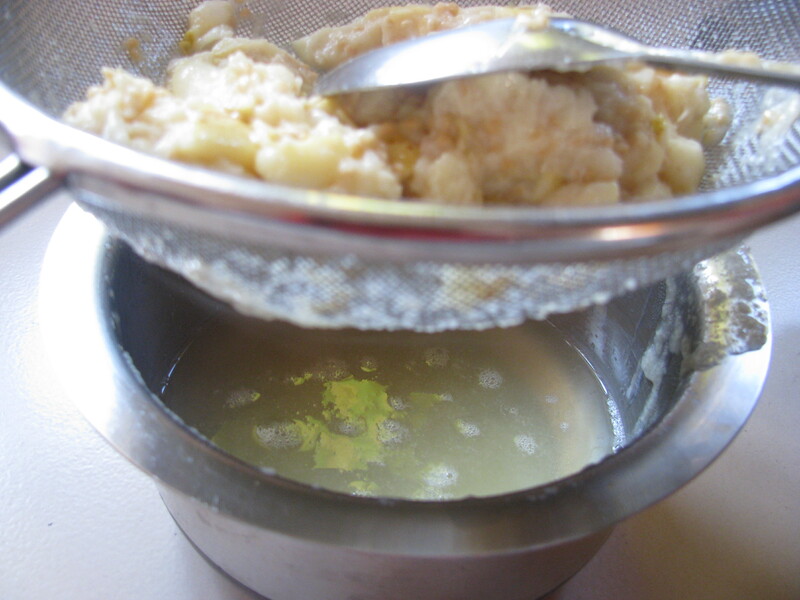 Straining will remove all seeds, skin and thread out of it. 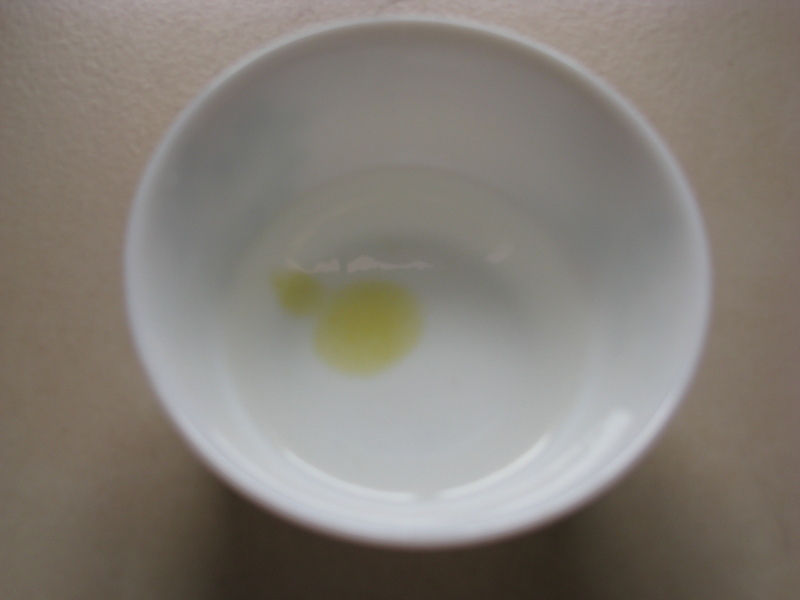 Measure the extract with a cup and take it in a container. I have extracted around 3 cups of guava pulp and juice. 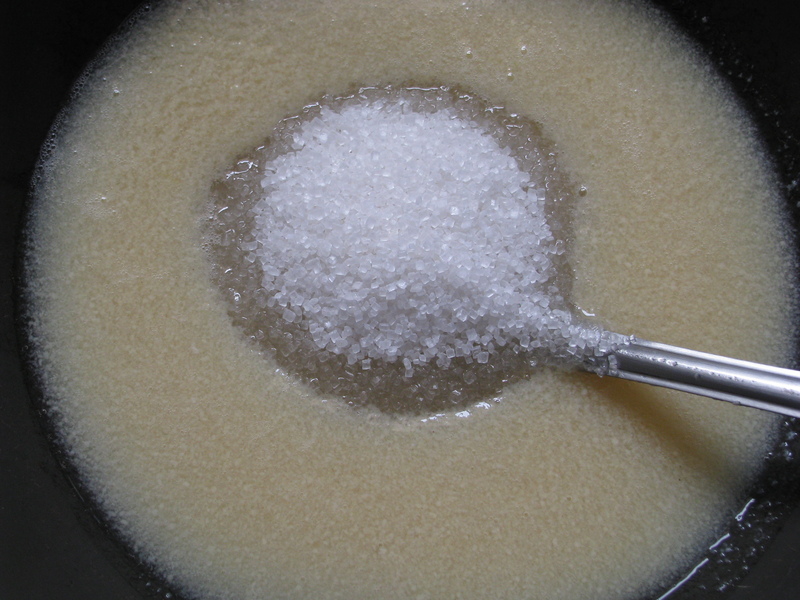 For each cup of extracted mixture, I add 1 cup of sugar. 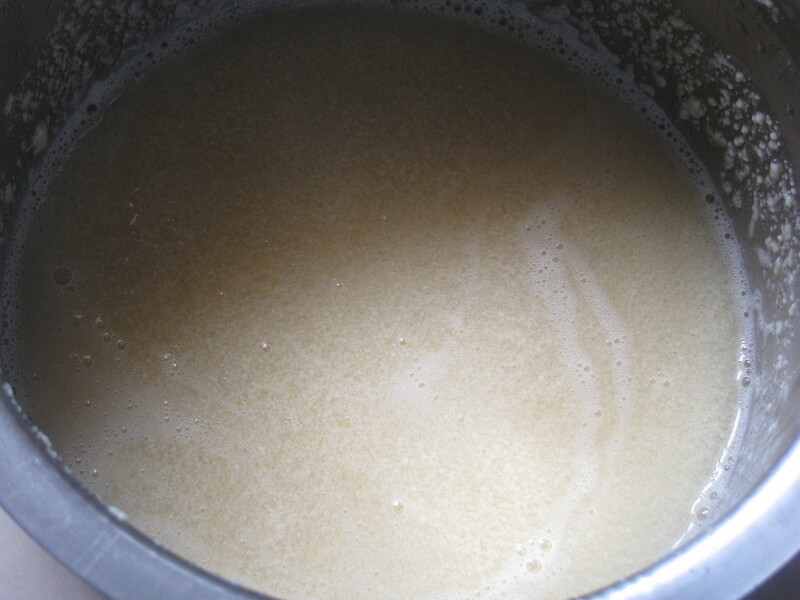 So here, I have added 3 cups of sugar to extracted pulp juice mixture. 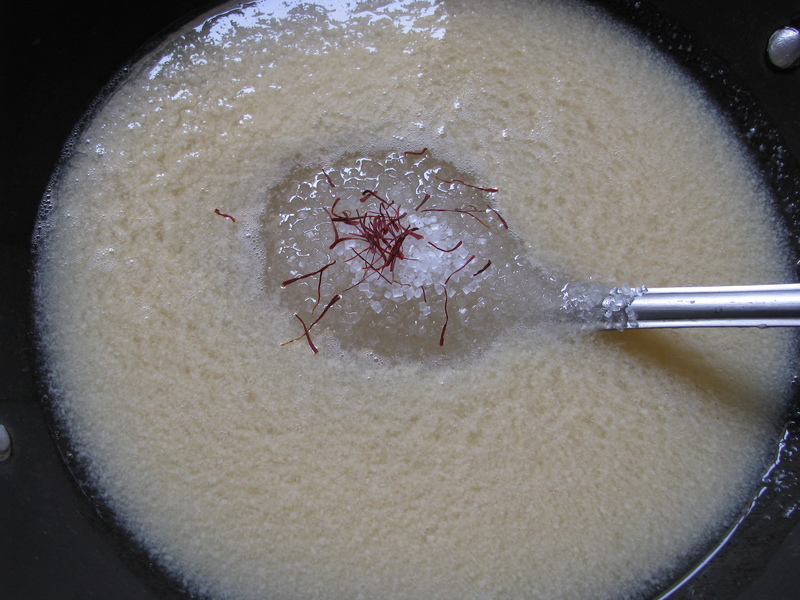 Keep the mixture of guava juice pulp extract, lemon juice, sugar and saffron and bring to a boil. Stir it continuously with ladle to avoid jam from hardening. Cook it for 20 – 25 minutes and bring it to rolling boil. Bringing your jam to rolling boil point means to boil it rapidly with bubbles all over and it doesn’t stop or slow when stirred. Once rolling boiling starts and if it seems like the drops of spatula are starting to become less drop-like. It is time to check if the jam is ready to set. Put the pan off the heat and drop little jam in ice cold water. If it sets and doesn’t dissolve in water, your jam is done. Remove the scum and pour it in dry clean bottle. Let it cool down completely and then only close the lid. Enjoy this tasty homemade guava jam with bread, bun, roti, paratha or chapatti. Enjoy ……. i think your jam is overcooked …. Hello, I made this jelly but it was a bit runny. The color was great, taste great, just a bit thinner than I expected. I did the “drop test” and ti seemed fine in the water… would you suggest to cook for longer? (I added the sugar & lemon juice accordingly to how the recipe suggested). Thanks! Next time When you make it cook for little more time …..
Love this recipe! I used lime juice instead of lemon, since I only had limes in the kitchen. Do you boil your canning jars before and after? I am new to canning and preserves, and curious since you don’t mention jar prep in the recipe. I didn’t boil the jar, now I’m a little worried. I’m storing it in the fridge. Ha, That is the question! If you want sweetness but no regular cane sugar you could try some of the natural paleo sweeteners with low calories. See this website for a rundown on various options. Yes, after making the wonderful Guava jelly, it would be a shame to spoil the jelly with too much cane sugar which we already get too much of. I yet to make the jam we have a tree of stawberry Guavas so hes hopeing ?.? Is there a subsitute for Safron stands for the recipe? I was also wondering, can I use honey as a sugar substitute or in addition to the sugar? Hi..is it okay if i make this without the saffron strands? Much thank s for your recipe . It came out ok for a first try. Hi, thanks is for the recipe. For how many days we can store the jam in fridge? Tried the recipe and it came out well. Only that the mentioned quantity of sugar was a little too much for my taste, so I added less sugar. Thanks for the recipe!